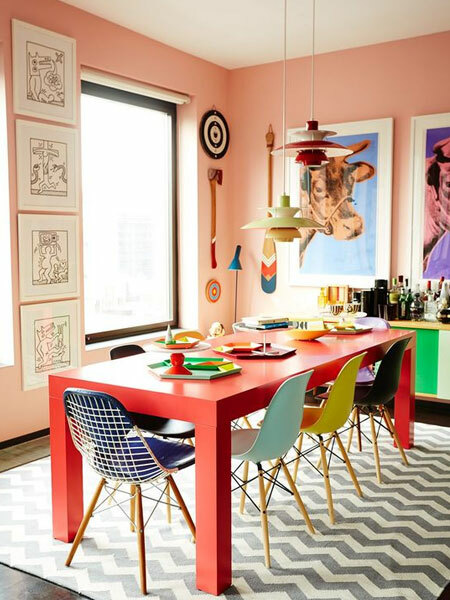 Let's be honest, a dining room can sometimes be a very basic room. You have a dining table and chairs that meet all your dining requirements, but the space just needs a little something extra to give it WOW factor. That's when you need to put on your creative cap and think of ways to add appeal to spice up a dining room. The easiest and most affordable way is to add come colour to your furniture. 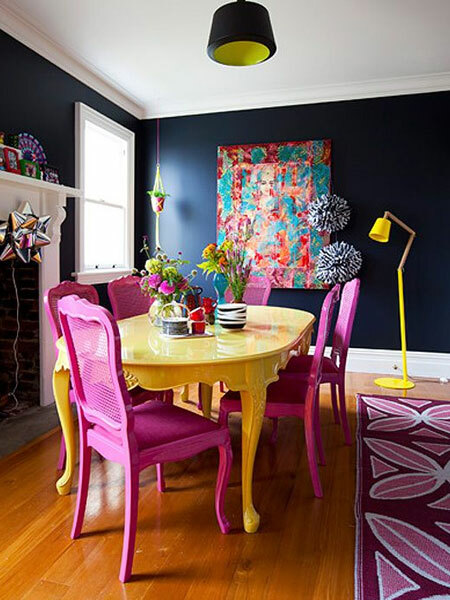 Painting the furniture is bold colours will definitely brighten up the space and add interest. And if you do want to restore solid wood furniture to its original condition later on down the line, simply strip, stain, seal or varnish to have it looking as before. There are now so many paint options to choose from that let you be creative and paint almost any type of furniture, whether it is wood or plastic. Rust-Oleum Chalked paint is one of my favourites and I love the fact that very little preparation is required before applying the paint. Chalked paint is also a great way to update heavy pieces of furniture that just don't fit in with your decor. 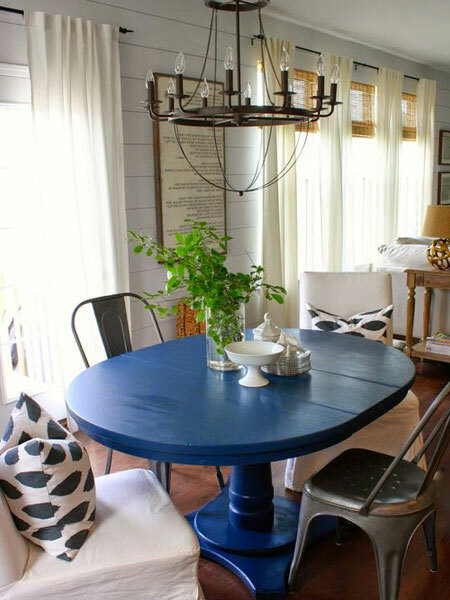 Chalked paint is also perfect if you are looking to give furniture a distressed or Shabby Chic look, as it is easy to apply and easy to apply a distressing technique for that aged effect that complements country or cottage style. 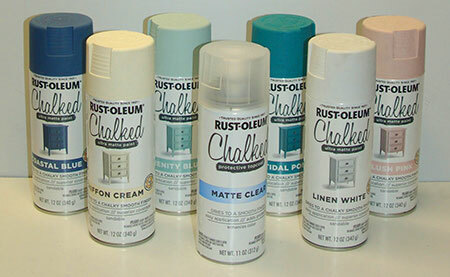 Rust-Oleum Chalked ultra-matte paint in a can or spray paint, is the easiest way to transform any piece of furniture without too much effort. Builders Warehouse stock a range of Rust-Oleum Chalked colours that will instantly give any dark wood furniture a new look. 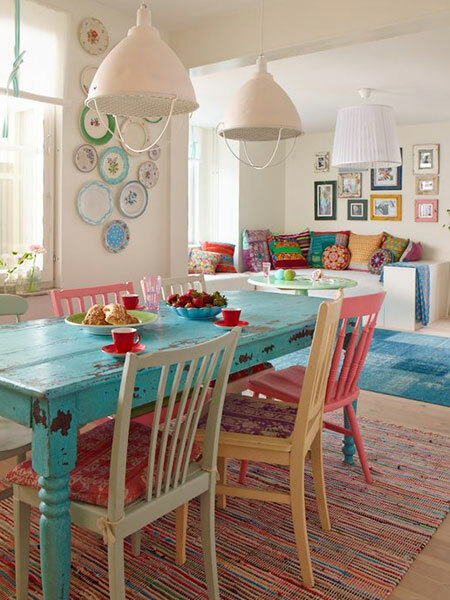 If you are living with dark wood furniture that makes your dining room feel weighed down and dark, being able to paint a dining table and dining chairs in bold colours lets you transform hand-me-down or secondhand furniture and give it a new lease on life. We are slowly learning to love colour in our homes and paint lets you choose colours you love for an easy transformation. If your design style is more modern, using spray paint is a brilliant way to give any piece of furniture a contemporary edge. And because you can use Rust-Oleum spray paint on wood, metal or plastic, you can quite easily apply to all types of dining room furniture. Rust-Oleum 2X spray paint is available in so many colour options that you can use it to give furniture a new look for the cost of a can. 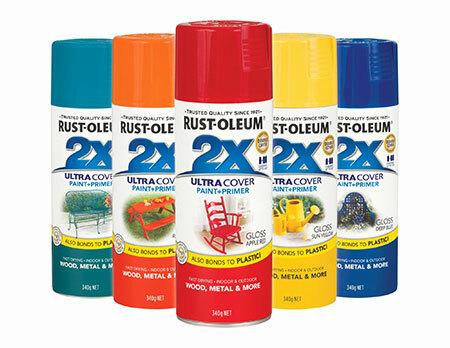 Rust-Oleum 2X is also a durable paint finish that can withstand the wear and tear of daily living. Pop into your nearest Builders Warehouse to check out the full range of colours in Rust-Oleum 2X Ultra Cover in flat, satin or gloss finish. 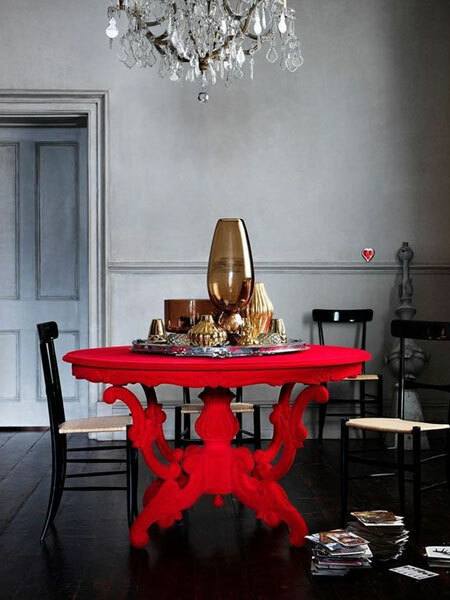 If you prefer your furniture to be a little on the unusual style, or you love boho style, it is so easy to use spray paint colours to give old, dated furniture a contemporary edge that will let your dining room furniture be a feature. 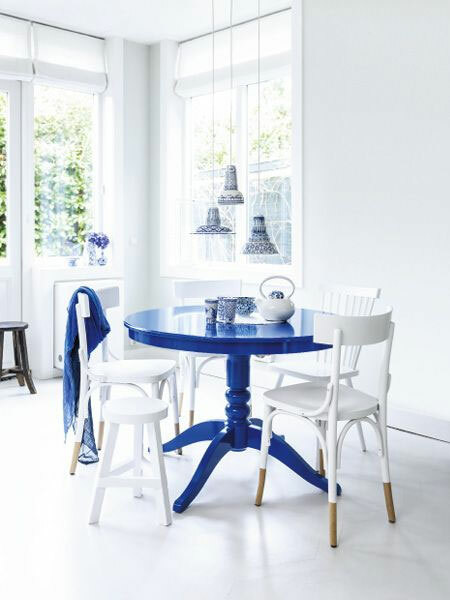 Blue has become a popular choice for decorating a home, and you can also incorporate this colour into a dining room. This cool, classic colour refreshes a dining room and makes it easy to introduce colourful accessories that complement the colour and style. 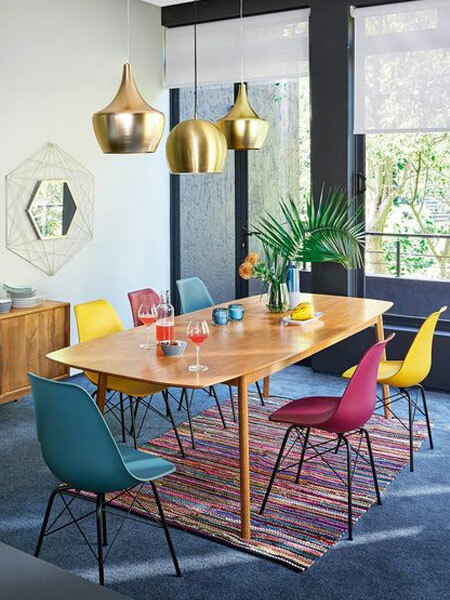 If you don't want to take the route of spray painting your wood dining table or furniture, there is always the option to add some colour to dining chairs. 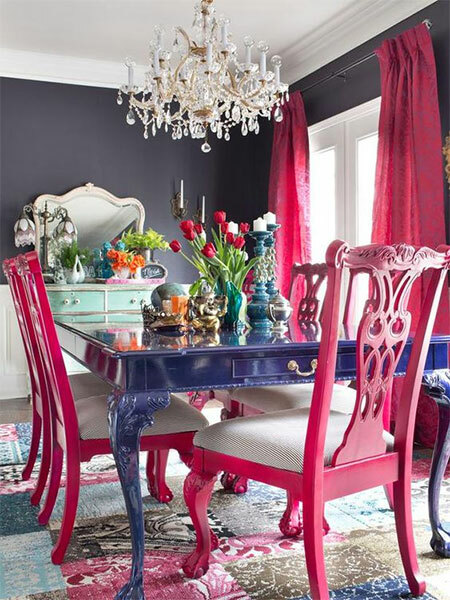 Look at buying an affordable set of dining chairs and give these a colourful makeover with spray paint.